Some of the world’s most successful companies started as partnerships. Microsoft, Apple, McDonald’s, Warner Bros., Ben & Jerry’s, and Google are only some examples of now corporate giants that began with only two people working together to start a business. Unfortunately, many partnerships do not work as well, often because of disputes between the partners. Many of these disputes may be avoided by simply drafting and signing a valid and appropriate partnership agreement at the beginning of operations. An experienced business attorney can help you identify which issues need to be addressed in your particular partnership arrangement. 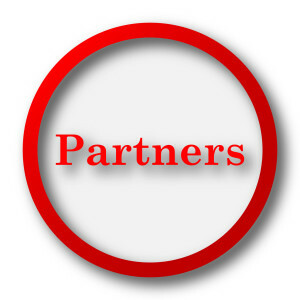 Anytime two or more people begin business operations, they automatically have a partnership. Much like a sole proprietorship, a partnership requires no filings with the Secretary of State or other formalities in order to establish the business entity. If you do not have a partnership agreement and a dispute arises, you will have little control over how the dispute is resolved. In cases without an agreement in place, California law will govern the situation and not the wishes of the respective partners, which can be problematic in many cases. For example, California law allows each partner an equal say in the management of the business, as well as an equal share in profits. This would not be fair if one partner contributed substantially more time, effort, or money to the business than the other. Therefore, not only will a partnership agreement help to avoid misunderstandings in the first place, but may also lead to a fairer resolution of any legal issues. In order to best protect your partnership rights, you always want an agreement that is thoroughly drafted to cover all relevant topics. An experienced business lawyer can evaluate your situation and can draft, negotiate, and review partnership agreements. Please do not hesitate to contact the San Jose office of the Structure Law Group at 408-441-7500 to discuss how we can help you today.